Yesterday, while driving home from campus, we decided to stop by to have some something to eat. 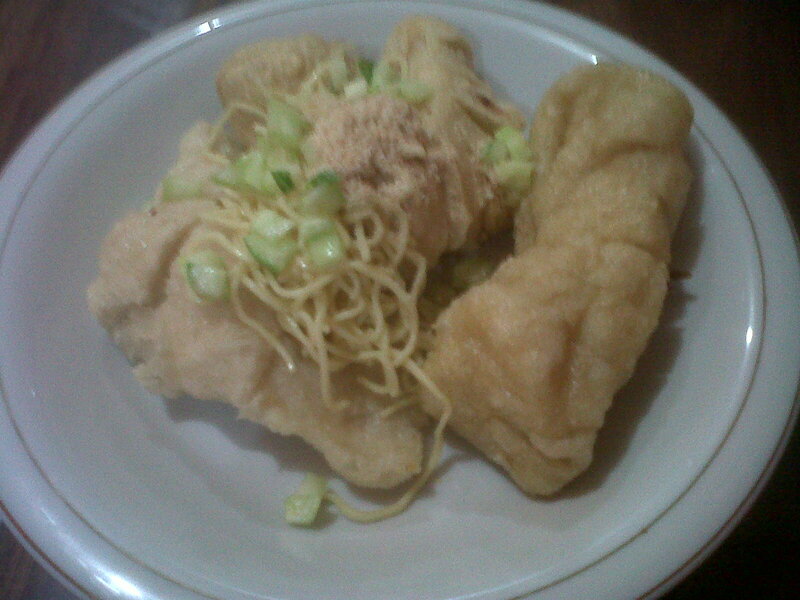 It was rainy, so we have the option to go eat baso tahu or pempek. But along the way, we finally decided to eat pempek. Without second thought we stroll directly to our new favorite pempek spot: Pempek 10 Ulu pak Anang. 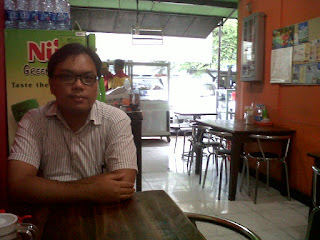 The vendor is located at jalan Veteran, Bandung, and you might missed it if you are driving in a hurry because of their small shop. 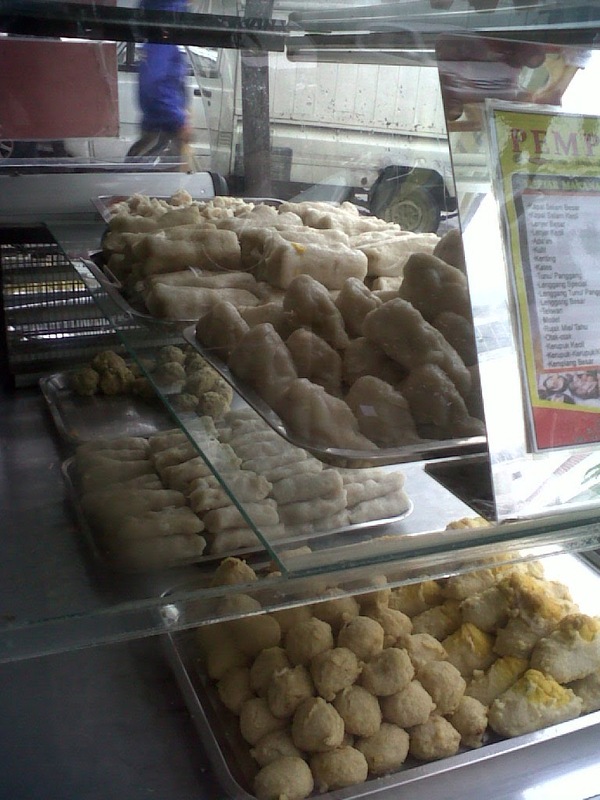 Although the vendor is small, but you can always see people come and drop by to taste their pempek. We don't blame them. 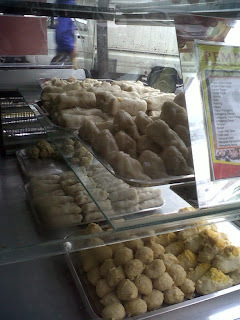 The taste of their pempek is very good, and we suggest that this is because they use plenty of fresh fish as their main ingredients. 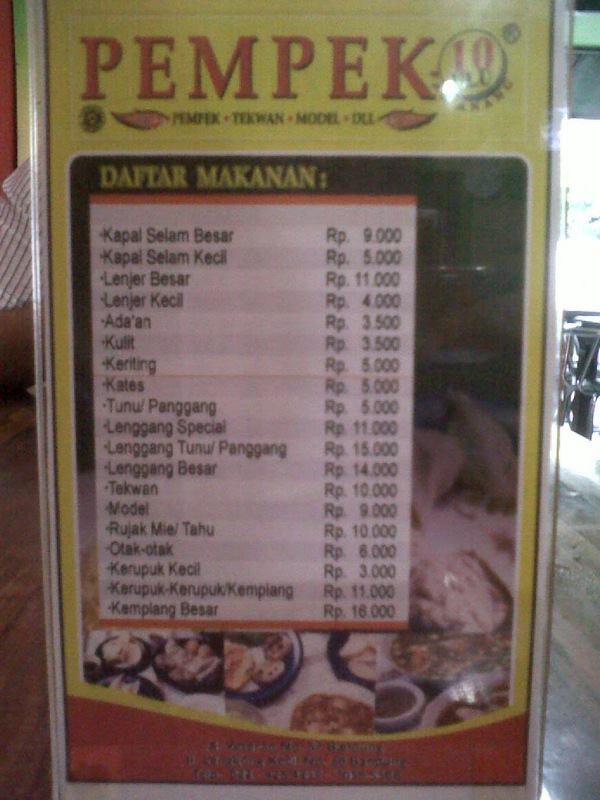 Their price is also not quite expensive. 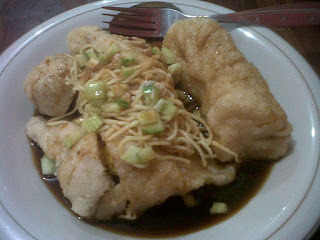 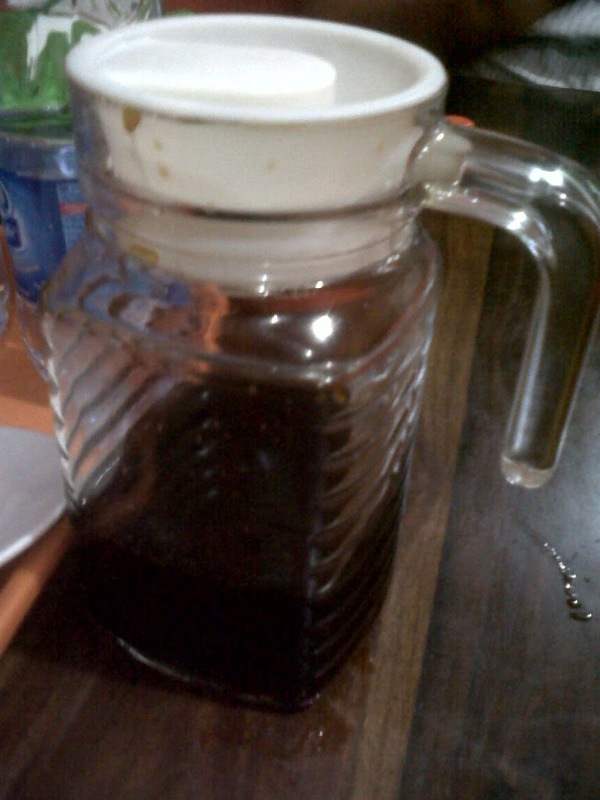 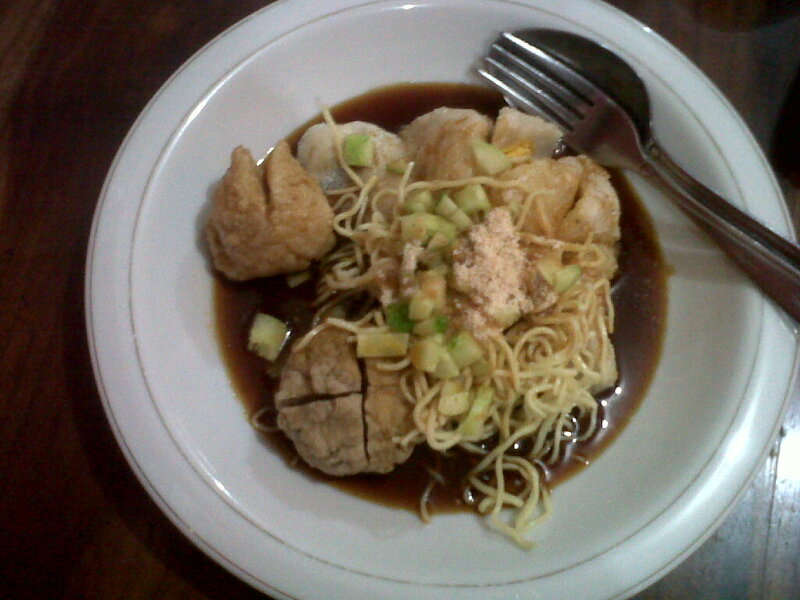 For two portion of hearty pempek + drink costs us around Rp 50.000,- (US$ 6). 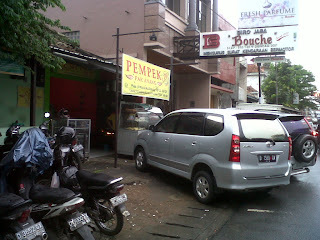 So the next time you find yourself craving for pempek in Bandung, especially in a rainy day, then you can stop by at Pempek 10 Ulu pak Anang. 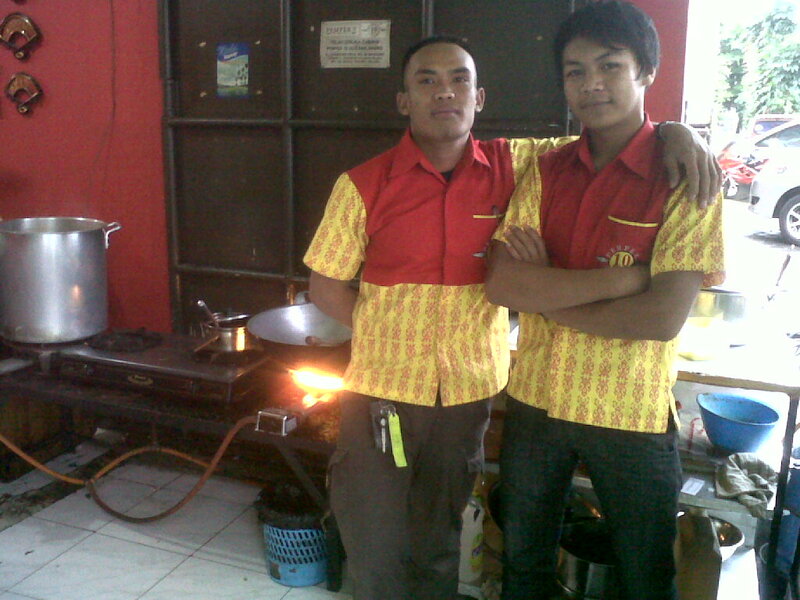 Happy Birthday Bro! Thanks for the Nasi Kuning!